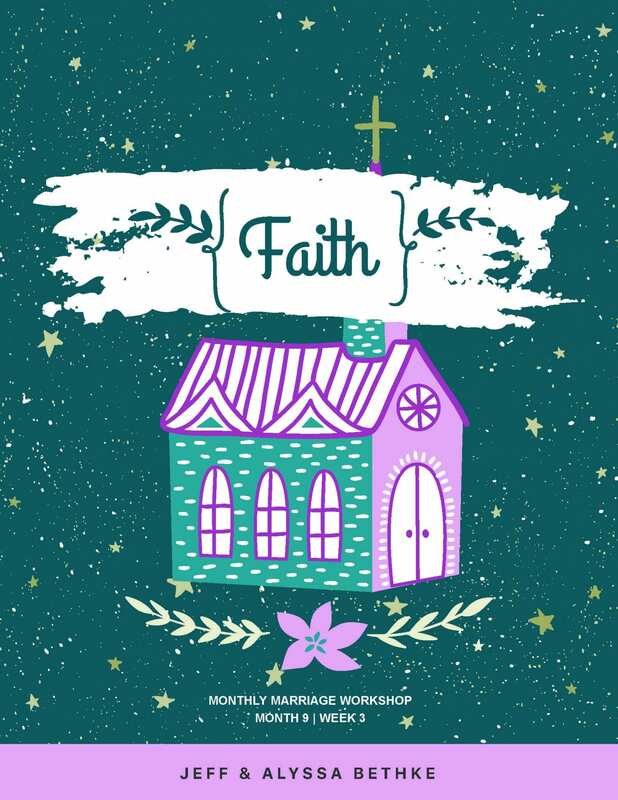 This month we are talking about faith, specifically as it relates to having a shared belief of walking with Jesus together. One of the more essential building blocks of a healthy marriage is one that has a deep and shared faith, with the tools of how to relate to each other as well. We can’t wait to see what the Lord does this month! Live Webcast: Since the webcast falls right when Alyssa is due with our baby, this month will be an exception with no webcast. Jeff will try to pop in this month for some lives, Q&A’s, etc. (P.S. Prayers for a smooth birth and delivery would be so appreciated!). Week 3 – We are each other’s main faith cheerleader!